It takes someone special to become a nurse. Someone who is compassionate, empathetic, and kind but who is also calm under pressure, detail-oriented, and able to think critically. 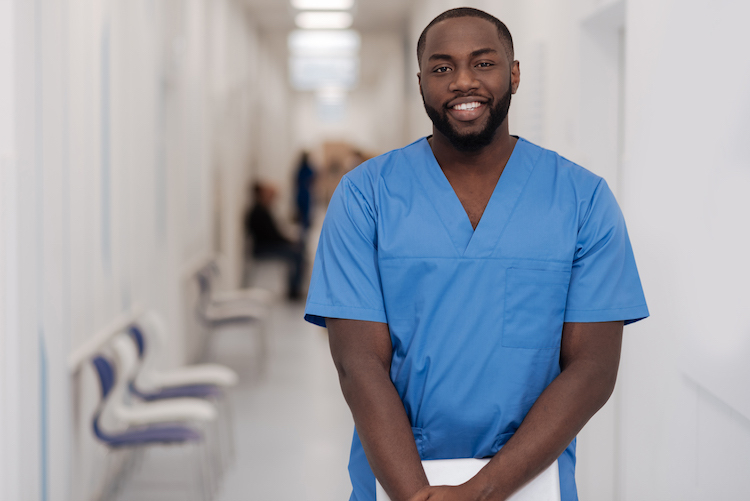 If you’re thinking about going back to school for nursing, you’ve taken the first step in the direction of an exciting and rewarding education that can help you begin a career in nursing or excel in your current practice. This guide is designed to help you understand what sorts of degrees are available for nurses like you who want to go back to school. Why Go Back to College for Nursing? As a nurse, you know that your job requires some special skills and personal attributes. You need to be well-educated and willing to stay on top of the latest developments in your industry. You’re a compassionate and sensitive person with excellent communication and people skills. You’re constantly interacting with patients and their families. In this field, you know that there’s always more to learn. Whether you’re an experienced nurse or you’ve just embarked on your nursing journey, going back to college for nursing is an excellent way to improve your skills, develop new ones, and find a specialization that you love. At the undergraduate level, you can boost your earning potential by obtaining your Bachelor of Science in Nursing (BSN), and more experienced nurses can achieve nurse practitioner certifications that have the potential to open the door for new career paths. You’re entering or continuing in a rapidly growing field. The demand for nurses is expected to grow by 15 percent between 2016 and 2026. Going back to school for nursing can help lay the foundation for your success. It doesn’t matter if you’re a new registered nurse or you’re looking to lead at the highest level—pursuing a nursing degree can potentially give you the leg up you need. Below are some of the potential programs you may choose to pursue if you’re considering going back to school for nursing. You’re already working as a nurse, and you want to continue honing your skills—both practically and academically. An online RN to Bachelor of Science in Nursing program grants you the flexibility to do both. You can continue working while earning this degree online in a way that works with your existing schedule. It can help boost your career, too: According to the American Association of Colleges of Nursing, graduates of a BSN program are more likely to have job offers at the time of graduation than graduates in other fields. You’re an experienced nurse who wants to transform your role within the healthcare system. By enrolling in a master’s in nursing program, you can choose to specialize your education and build the foundation that can lead to a future as a mentor, educator, researcher, or administrator. By taking your degree online, you’ll become a more effective practitioner in your current role while also enjoying 24/7 access to your courses. As a master’s student, you may opt to concentrate your studies in one of the following areas: pediatrics, psychiatric mental health, family practice, adult-gerontology primary care, or adult-gerontology acute care. You’ve completed your master’s degree and want to take the next step in your nursing career by specializing in a specific area of practice, such as family nursing, gerontology, psychiatric mental health, or pediatrics. A post-master’s nurse practitioner certification in one of these areas can help you to become a better leader in your chosen field and open the door to more career options. You’re an advanced practice nurse with an ambitious nature, looking to lead at the highest level. By earning a Doctor of Nursing Practice, you’re demonstrating your commitment to the healthcare industry and your desire to be a leader within it. As the baby boomer wave of experienced healthcare professionals prepare for retirement, new vacancies in high-level positions are emerging across the nation—positions waiting to be filled by people like you. You may choose to specialize in psychiatric mental health, pediatric primary care , family practice, adult-gerontology primary care or adult-gerontology acute care. A degree in nursing, whether it’s a Bachelor of Science in Nursing, a Master of Science in Nursing, or a Doctor of Nursing Practice, can open up a variety of exciting career opportunities within the healthcare field. Below are a few of the potential career paths that may be available to you upon graduation. Note that some of these careers may require additional training or certifications beyond your degree. Critical care nurses specialize in caring for patients with life-threatening conditions. You are responsible for providing “intense and vigilant” nursing care, according to the American Association of Critical-Care Nurses. Critical care nurses often work in intensive care units, as well as emergency departments, cardiac care units, and recovery rooms. Average salary: $60,608/year. The work of a public health nurse takes into account a number of factors that contribute to the health of a community and its members, including access to education, socioeconomic standing, and other community-specific risk factors. As a public health nurse, you’ll work for nonprofits, community health centers, and government agencies. Average salary: $62,822/year. Nursing meets information management and data analysis in a career as an informatics specialist. In this role, you’re tasked with managing and communicating information and data, such as patient charts. Increasing the efficiency of data management within healthcare can significantly contribute to lower operating costs, making your job as an informatics specialist especially important. Nursing informatics specialists work in a variety of environments, including hospitals, clinics, and nursing homes. Average salary: $82,014/year. Clinical nursing educators are responsible for delivering hands-on teaching experience in a variety of settings, including hospitals, clinics, and extended care facilities. In addition to having extensive nursing knowledge in your area of instruction, you must have a passion for teaching and be committed to lifelong learning in order to keep up with the best practices in your field. Average salary: $72,020/year. A nurse manager oversees and supervises a unit of nurses. In addition to overseeing patient care, you’re responsible for recruitment and training, as well as scheduling and budgeting. You act as a central point of command for your unit. As such, you need to be able to provide calm and collected leadership in times of crisis, in addition to being a source of support for fellow employees, patients, and families. Average salary: $100,842/year. There is financial assistance within reach for people like you who want to go back to school for nursing. In fact, there are a variety of grants and scholarships available to potential nursing students. Here are some popular scholarships of which you may be able to take advantage. Association of Rehabilitation Nurses BSN Scholarship. Nurses who are pursuing a BSN degree and are currently working in rehabilitation nursing are eligible for this $1,500 scholarship. Stephanie Carroll Memorial Scholarship. Awarded by the National Association of Directors of Nursing Administration in Long Term Care, this scholarship is given to a nursing student who commits to spending two years after graduation in long-term care or geriatrics. FNSNA Undergraduate Scholarship Program. The Foundation of the National Student Nurses’ Association awards two scholarships to students working toward the completion of an RN to BSN or other nursing program. CVS Together We Care Nurse Practitioner Scholarships. Forty nurse practitioner scholarships are awarded to MSN and DNP students. AfterCollege-AACN Scholarship Fund. A $10,000 scholarship is awarded to a nursing student pursuing a bachelor’s, master’s, or doctoral degree. You already know you’ve found your calling. But you want to do more, to learn more, to be more. So, if you are interested in learning about how you can start the process of going back to school for a bachelor’s, master’s, or doctorate degree, then take the first step and speak with an enrollment advisor today about how applying to a nursing program can boost your nursing career to the next level.